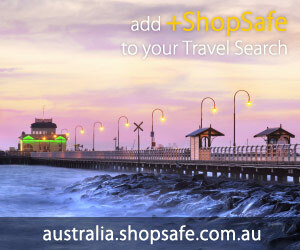 Jewelry - Bracelets - ShopSafe. There are 29 products in the Redenvelope > Jewelry - Bracelets ShopSafe Category. Friendship Tag Bracelets Description: A single word, a singular friendship. These bracelets are etched with a blessing of encouragement between friends and loved ones. Invented in 1925 by German mathematician Emil Artin, friendship bracelets were originally made of embroidery thread tied in multiple half-hitch knots. etc. Buy this Friendship Tag Bracelets today from USD$14.98 on the RedEnvelope website. Birthstone Id Bracelet Description: Celebrate her birth month in style. Our modern take on the traditional ID bracelet features double strands of cable chains and a silver-plated identification plaque, finished with a 3mm bezel-set birthstone. The plaque may be engraved with her initials, name or nickname. elegant ID-style design incorporates genuine gemstonesgemstones measure approx 3. etc. Buy this Birthstone Id Bracelet today from USD$19.98 on the RedEnvelope website. Amethyst Friendship Bracelet Description: Amethyst is known for its connection to friendship, love, harmony and dreams. Exclusively from RedEnvelope.bracelet strung with multifaceted chips of semiprecious amethystbox clasp is engraved with the word "friends"offered in 8" long. see above for available style etc. Buy this Amethyst Friendship Bracelet today from USD$19.98 on the RedEnvelope website. Multi-gemstone Bracelet Description: William Wadsworth once wrote, My heart leaps up when I behold a rainbow in the sky. So it is that color brightens every day and fills our lives with joy. Add a splash of color to her life with our multi-gemstone bracelet. Featuring eight, 100% hand cut semi-precious gemstones, this delightful bracelet lets her personality shine and adds vibrant color to her day. etc. Buy this Multi-gemstone Bracelet today from USD$24.98 on the RedEnvelope website. Pea In A Pod Bracelet Description: Nestled inside their pod, these pearl peas are almost as sweet as Moms own. New York jewelry designer Michael Michaud was inspired by his own children when he created this realistic piece. The organically shaped pod shell is crafted in sterling silver with cultured freshwater pearls, to represent her little darlings. etc. Buy this Pea In A Pod Bracelet today from USD$29.98 on the RedEnvelope website. Murano Open Loop Bracelet Description: Hand-blown in Murano, Italy an island off Venice where glass blowing has been perfected over the centuries our murano open loop bracelet beautifully fuses glass, crystal and metal. Combining Italian high fashion with the skill and creativity of Italian craftsmanship, each glass piece is individually hand-blown with silver and gold leaf blown into the glass. etc. Buy this Murano Open Loop Bracelet today from USD$39.99 on the RedEnvelope website. Women`s Sterling Cuff Bracelet Description: Bracelets: Send this cuff bracelet as an anniversary gift or birthday gift. From RedEnvelope. etc. Buy this Women`s Sterling Cuff Bracelet today from USD$39.99 on the RedEnvelope website. Murano Glass Beads Bracelet Description: Art glass for the wrist. Made in Murano, Italy, world-renowned for its glass-blowing artisans, this trio of spring-wire bangles features glass pearls and Swarovski crystals. The crown jewels of each bracelet are hand-blown Murano glass balls painted on the inside with gold or silver foil finish for slight shimmer. etc. Buy this Murano Glass Beads Bracelet today from USD$49.95 on the RedEnvelope website. Semiprecious Bracelet Description: As vibrant as confetti and equally befitting a celebration. This bracelet is jeweled with clusters of polished semiprecious peridot, amethyst and pale-blue topaz stones mixed with silver beads and pink and white freshwater pearls. Exclusively from RedEnvelope. sterling-silver heart centerpiecesterling lobster claspheart measures 5 - 8"offered in 7 1 - 4" or 8" long. etc. Buy this Semiprecious Bracelet today from USD$49.95 on the RedEnvelope website. Men`s Id Bracelet Description: Relaxed yet refined, masculine yet subtle, our bracelet adds polish to even his most casual day. It pairs chocolate-brown waxed-cotton cord with a sleek sterling-silver nameplate, which may be engraved. Exclusively from RedEnvelope. may be engraved with one line of up to 10 characters8 1 - 2"Lh etc. Buy this Men`s Id Bracelet today from USD$49.95 on the RedEnvelope website. Murano Glass Bead Bracelets Description: Made on the Italian island of Murano, these eye-catching pieces feature hand-made glass balls and crystal accents. Iridescent hues of gold, garnet and plum create a regal seasonal palette. Exclusively from RedEnvelope. - etc. Buy this Murano Glass Bead Bracelets today from USD$49.95 on the RedEnvelope website. Braided Leather Bracelet Description: With its warm tones and rich texture, braided leather is synonymous with both English equestrian style and American West traditions. New York jewelry designer Catherine M. Zadeh designed this bracelet to have a masculine elegance with a modern edge. Exclusively from RedEnvelope.strands of leather are woven together and finished with sterling-silver capshook claspoffered in 8 1 - 2" or 9" long. etc. Buy this Braided Leather Bracelet today from USD$49.99 on the RedEnvelope website.